Known as Hard Truckers Cabinet. Cabinet: 15ply or 12 ply Birch plywood 14 1/2" Deep, 42 1/2" High, 19" Wide 1 1/4" lip on the front 5/8". Dimensions are outside finished dimensions. You can coat the wood with a polyurathane or West System marine epoxy which is bullet proof. 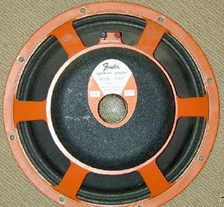 The D speakers are made with a Alnico magnet. 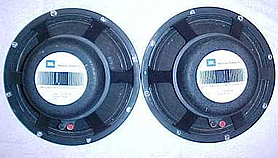 they don't have a direct recone kit made for them, so when they are rebuilt (as I would imagine most of them need by now) you aren't getting an equivalent of the original speaker. Also, they don't handle as much power as a K or E series speaker. These speakers are nice and bright and great for a Twin but not recommended use with a power amp. Garcia from the 80's on used the E-120's. Their made for power. The impedance of a speaker is basically a measurement of how hard the amplifier will have to work to drive that speaker. 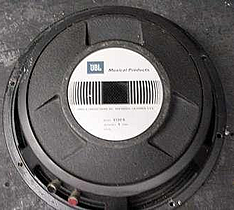 The impedance is measured in Ohms and is usually marked on the back of every speaker. 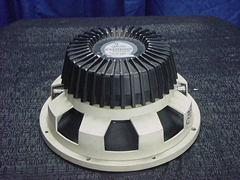 The impedance of the speaker(s) i is essential, particularly in the case of tube (valve) amplifiers that the impedance or ‘load’ presented to the amplifier is correct; otherwise this can damage the amplifier. 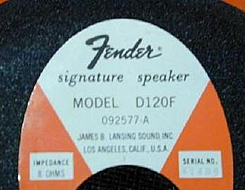 Many tube amplifiers are set up with multiple ‘taps’, e.g., 8 and 16 Ohms. In such cases, it is important that the impedance of the speaker system matches the impedance value set on the amplifier. Most transistor amplifiers are designed to drive 8 Ohm loads. Although the impedance matching is not as critical as with tube amplifiers, the impedance of the speaker(s) should be at least equal to the minimum impedance of the amplifier. 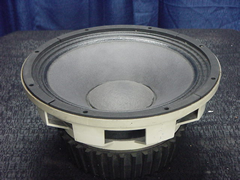 The way in which multiple speakers are wired (in a 2x 12" cabinet for instance) determines the overall impedance of the speaker system. Hence wiring is critical. There are basically two ways of wiring multiple speakers: series and parallel. Here are diagrams of the most typical wiring configurations.